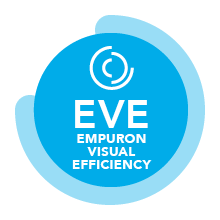 EMPURON Software Modules and Hardware can be adapted easily and to a large extend to your needs. Our customers thus get a perfect and exactly tailored function and optimal use - also in the Cloud. EMPURON Software are consisting of powerful components that are perfectly matched. Using the comprehensive address system, information can be used homogeneously at any location n different modules. The EMPURON Process Data Warehouse is specialised in keeping technical data, time series, status information and technical messages and controls Big Data. High chronological resolution of values, millions of time series in the data warehouse in parallel and recording of arbitrary time series - even without advance effort for parameterisation: This is the playground of the EMPURON Process Data Warehouse. On base of the versatile experiences in a number of major projects, we have made the EMPURON systems to a reliable platform, such as automation functions at DEWA (Dubai Energy and Water Authority). The EMPURONs Process-Data-Warehouse-Systems are working there on base von ORACLE. The EMPURON staff is responsible for the service in several national Load Dispatch Centers. It has also been involved in several major projects in the power automation: Distribution network and transport network automation for EDF, DB Power, Austrian Power Grid AG, REN, FREC, Amprion and many others. EMPURON works with different technologies and combines as an integrator the classic real-time systems of network automation with modern energy market infrastructure. The technology for the protocol and format integration is of course part of our systems. In terms of service competence and with all his experience EMPURON is a reliable partner for system-critical IT infrastructures for energy technology.